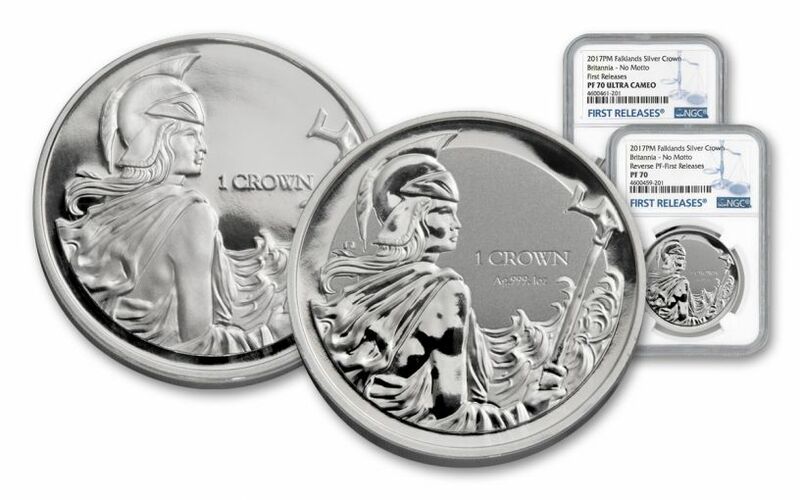 Britannia Reigns with This Stunning Falkland Islands Commemorative Proof Set! Sail 300 miles northeast of the very southern tip of South America and you'll find yourself in the Falkland Islands. Two sizable slices of earth combined with 200 smaller islands -- all together, a land mass roughly the size of Connecticut. Despite their cool climate, the Falklands' ideal Atlantic Ocean positions have made them among the most highly contested islands in the world. The Falkland Islands have been the under the rule of the United Kingdom since 1833, but their location near the coast of Argentina made them a prime point of contention between the two countries for decades. This simmering conflict came to a violent boil on April 2, 1982 when the military-led Argentinian government invaded the capital of Stanley. Over two months, the Falkland Islands War commanded the attention of the world. Finally, on June 14, the overpowered Argentinian forces surrendered both the war and the islands to the United Kingdom. Almost 1,000 lives were lost on both sides -- nearly 650 from Argentina and 255 from Britain. The conflict would ultimately result in the re-establishment of civilian rule in Argentina and secure a massive swell of support for Margaret Thatcher and the Conservative Party in the UK. 35 years later, the islands are still firmly under the rule of Queen Elizabeth II, proof of the Crown's rule beyond the British Isles. Today, they are a vivid symbol of Britannia's rule over the waves. And now, to signify the 35th anniversary of the Falkland Islands War, the Pobjoy Mint is introducing this brilliant Britannia Rules the Waves Two-Proof Set! 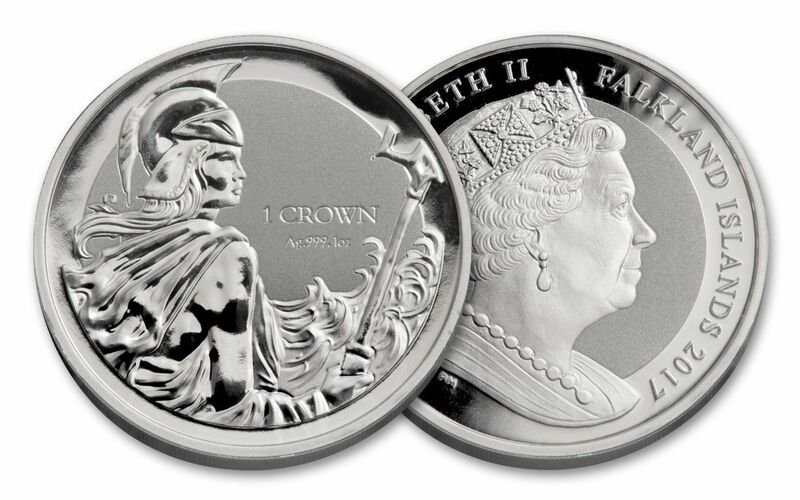 STUNNING, SYMBOLIC DESIGN -- Britannia, the beloved embodiment of Great Britain and icon of maritime sovereignty, is masterfully depicted on each proof's reverse. Wearing her Corinthian helmet and holding her trident, she stoically watches the wind-swept sea. TWO PROOF-STRUCK MASTERPIECES! -- Crafted by the world-renowned Pobjoy Mint, both coins in this set are the products of hand-selected one-ounce planchets of 99.9% fine silver, struck multiple times by polished dies. The first coin of this set features a proof finish with frosted details that hover over mirror-like fields. The second coin is a literal reverse proof, showcasing lustrous mirror-like features set against frosted fields! FALKLAND ISLANDS LEGAL TENDER -- Both this 2017 Britannia Rules the Waves Proof and Reverse Proof are one crown legal tender for the Falkland Islands, as seen on each coin's obverse along with a profile of Her Majesty Queen Elizabeth II. 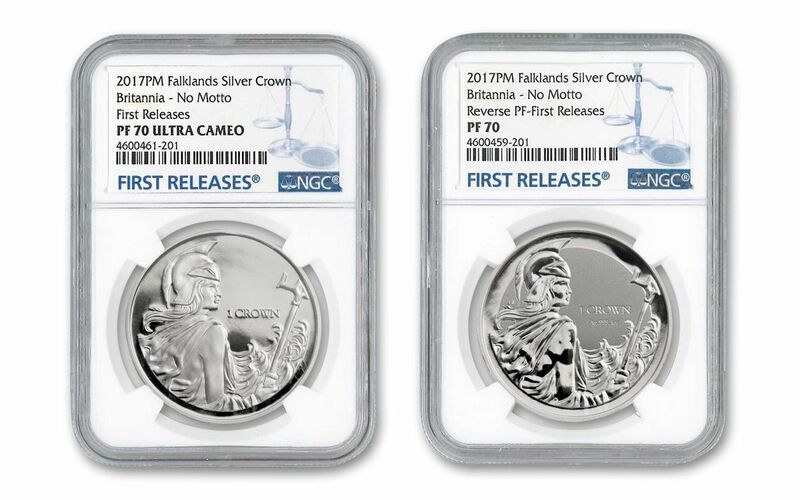 CERTIFIED FLAWLESS -- From this set, your proof will come graded Proof-70 Ultra Cameo (PF70) and your reverse proof will come graded Proof-70 (PF70) -- both certified by Numismatic Guaranty Corporation (NGC). 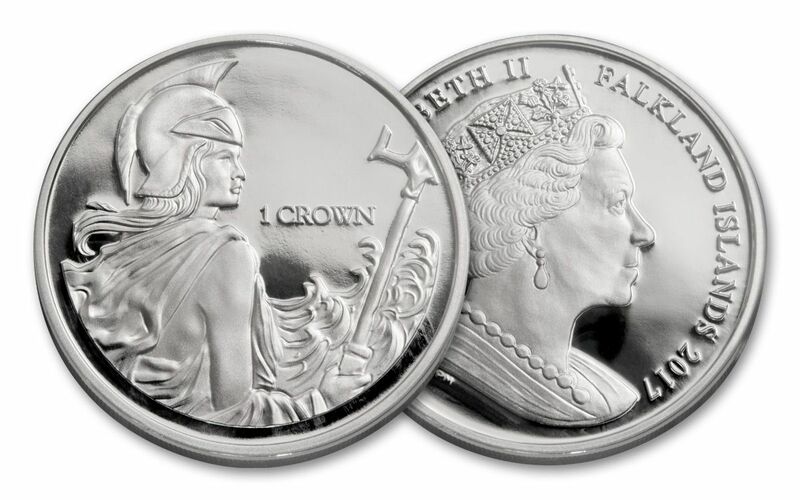 Both distinctions mean that your perfectly graded 2017 One-Ounce Silver Britannia Rules the Waves coins will have ZERO imperfections -- showing all features and fields exactly as the engraver and mint intended! In addition, both your proof and reverse proof will be certified First Releases (FR) by NGC, meaning that they were among the first struck by the mint and were verified within the first 30 days of issue. Finally, both coins will be sonically sealed in their own individual acrylic holder -- giving you the best in protection while granting clear sightlines into every beautiful detail. A LIMITED-MINTAGE SET! -- Only 500 Britannia Rules the Waves Proofs were struck by the Pobjoy Mint. A large number of individual proofs have already been distributed, making a complete set like this harder to obtain! Whether you're an Anglophile, a collector of gorgeous coin art or a fan of world history (or all of the above! ), this stunning set deserves a place in your collection. Just don't wait too long -- set sail for your very own today!